Virtual reality has come a long way in the last two or three years, and every tech company wants to be part of this booming industry. 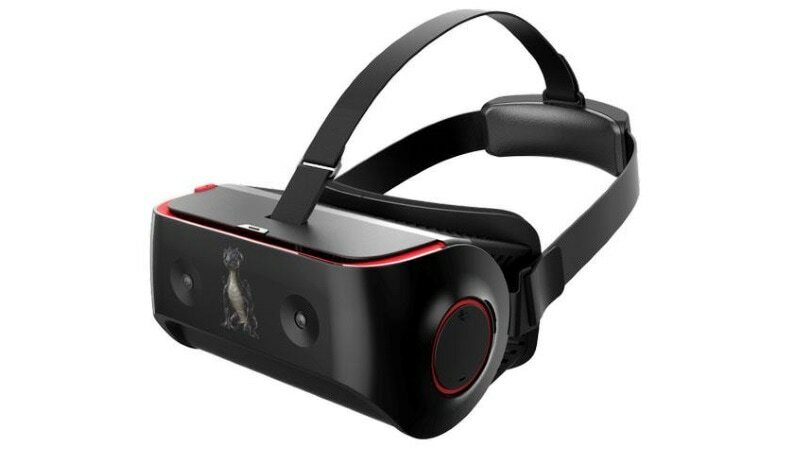 Mobile chipmaker Qualcomm on Thursday announced that it has developed a reference standalone virtual-reality headset – Snapdragon VR820 – that can be used by other product developers to create their own VR devices. Qualcomm’s Snapdragon VR820 virtual reality reference platform features a standalone headset powered by the company’s Snapdragon 820 processor. It has been developed by Qualcomm in collaboration with Chinese acoustic components developer Goertek and includes features like integrated eye tracking with two cameras, as well as dual front facing cameras for six degrees of freedom and see-through applications. The reference VR platform also includes four microphones, a gyroscope, an accelerometer, and a magnetometer, the company said in its release. “Based on the powerful Snapdragon 820 processor, the Snapdragon VR820 enables OEMs to quickly develop standalone head mounted displays (HMDs) optimized for VR content and applications while meeting the processing and performance demands of an all-in-one, dedicated VR headset,” Qualcomm added. The platform is built upon Qualcomm’s Snapdragon VR Software Development Kit, which is compatible with Google’s Daydream VR platform, and is powered by Qualcomm Adreno 530 GPU for “next-generation console-quality” VR gaming and apps. Snapdragon VR820 offers a 1440×1440 pixels resolution for each eye, as compared to 1080×1200 pixels resolution offered on HTC Vive. The Amoled panel present on the device supports refresh rate up to 70Hz as compared to 90Hz support present on HTC’s Vive and Oculus Rift. The Snapdragon VR820 also comes with a custom-designed 64-bit Qualcomm Kryo quad-core CPU for high-performance computing. It also sports Hexagon 680 DSP to process the various incoming signals without burdening the CPU. For audio, it includes Qualcomm Aqstic tech for binaural positional audio and 3D surround sound, apart from four microphones with Fluence HD noise filtering. Qualcomm has said that the device is expected to be available in the last quarter of 2016 and the devices based on this reference platform are expected to show up shortly afterwards.